Prime Minister Francois Fillon has confirmed the resignation of Tron, who is also the mayor of a Parisian suburb, after two women complained that he molested them. 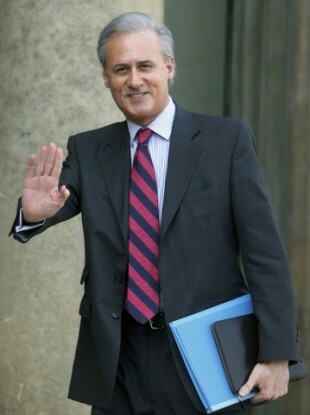 File photo dated 24 March, 2010, of the newly-appointed junior minister Georges Tron. FRANCE’S JUNIOR MINISTER for Civil Service has resigned after being accused of sexual harassment, but the prime ministers’ office says the resignation does not prejudice his case. Georges Tron, who is also the mayor of the Paris suburb of Draveil, has denied the allegations, brought by two of his female employees who claim that Tron molested them between 2007 and 2010. Reuters reports that French Prime Minister Francois Fillon was informed of the resignation today. One of the women told the newspaper Le Parisien that she decided to go to police after a hotel chambermain in New York brought sexual assault charges against then-head of the IMF, Dominique Strauss-Kahn. An investigation has been launched and will determine if charges should be brought against Tron. Email “French junior minister Georges Tron resigns over sexual harassment claims”. Feedback on “French junior minister Georges Tron resigns over sexual harassment claims”.